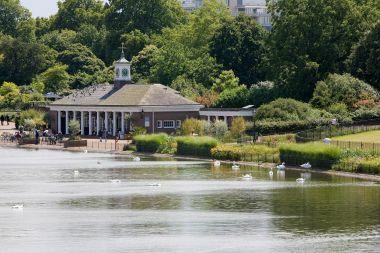 View of the Lido Cafe from the Serpentine Bridge. 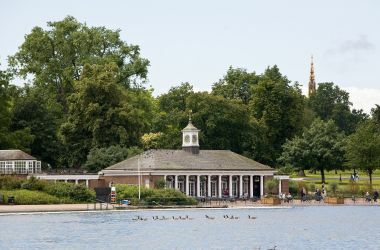 View of the Lido Bar and Cafe from the other side of the Serpentine. 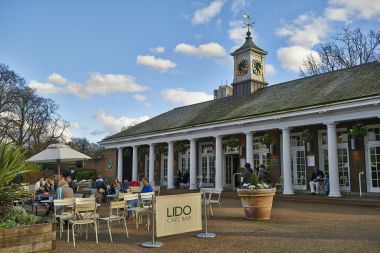 Outside dining area of the Lido Bar and Cafe.